The sheer scale of design evident on this pair of three layer jhumki earrings makes it suitable for special occasions and outfits. The red and Read More..green shades predominates this piece with rows of red and green stones embedding each layer of jhumki. Moreover, the mesmerizing mina work on display on the body of the earrings makes them truly unique in design and concept. 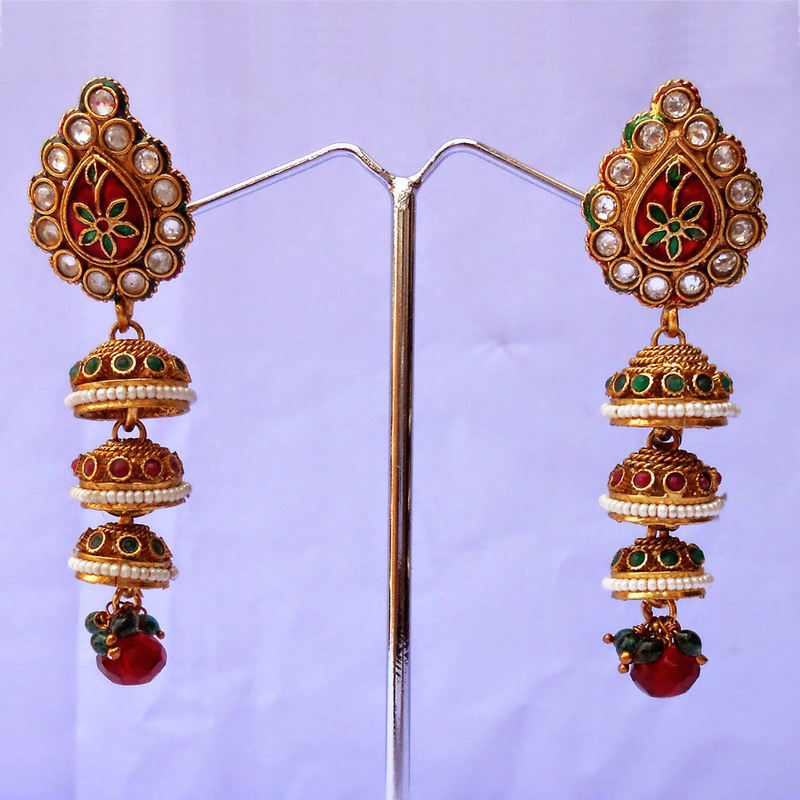 Finally, the huge red gem hanging from the lowermost jhumki adds even more grace to this pair of earrings. Show Less..